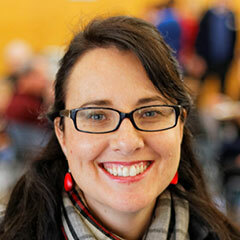 Debbie is the Church Administrator for Trinity Church Modbury. She was a part of the original team that came from Trinity Church Adelaide in 2010 and has loved seeing the church grow over the years. She completes various administration tasks to help ensure the smooth running of our Sunday morning services and other ministries. Debbie loves hanging out with family and friends, travelling, and having a go at any kind of craft she can get her hands on.